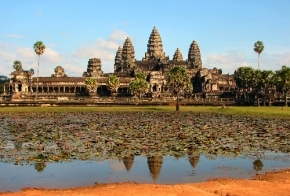 Siem Reap is a small colonial town just north of Southeast Asia, largest lake, Tonle Sap. The town itself is charming and pleasant enough to warrant a full tour in. With some fine examples of French colonial architecture mixed with modern developments in the form of hotels. 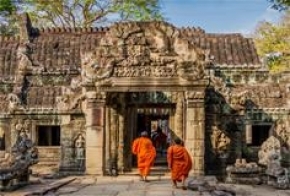 Siem Reap has becoming a melting cultural hotpot where the cultural charms of old Cambodia is mixed with the modern ameneties of civilized living. Enjoy the hospitality of Siem Reap while you explore the historical attractions of ancient Cambodia!